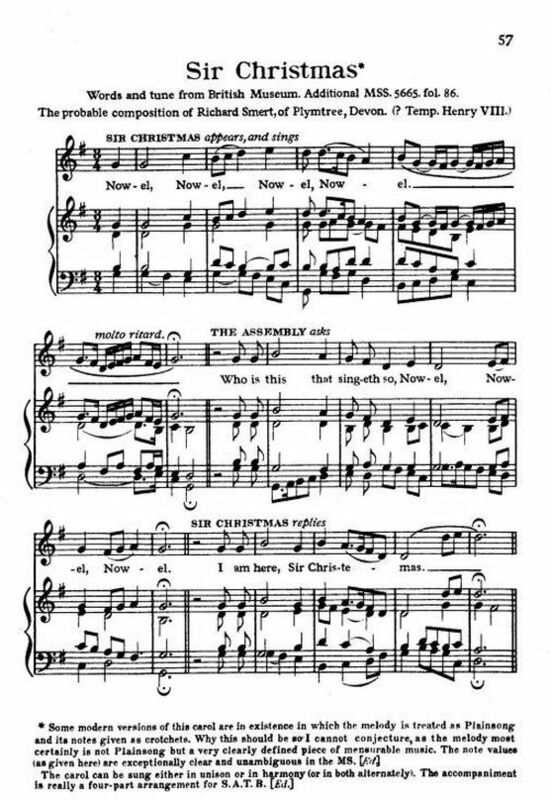 Also found in William Sandys, Christmas-tide, Its History, Festivities and Carols, With Their Music (London: John Russell Smith, 1852), p. 224.
Who ys there that syngith so nowell, nowell? This [is] from Addit. MSS. 5665. 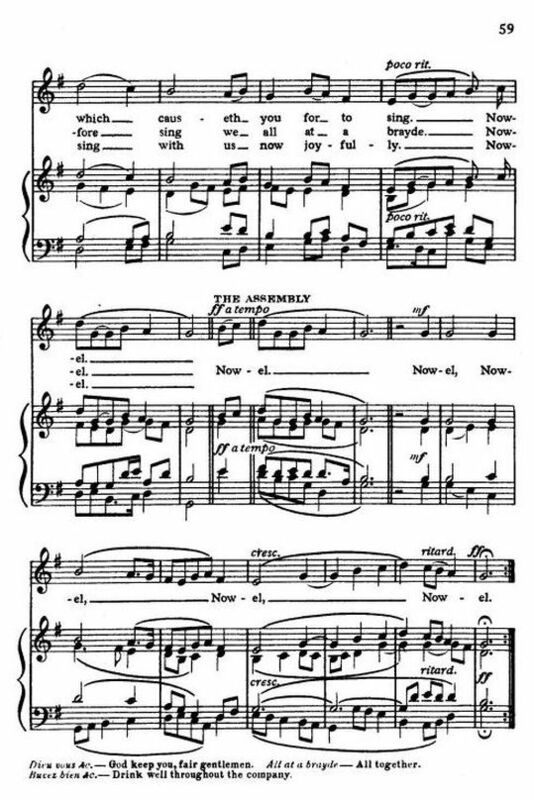 (formerly in Ritson's possession,) being a collection of church services, hymns, carols and songs in score, made (as it supposed) in the time of Henry VIII [1491-1547, reign 1509-1547]. This [is] also printed in Ritson's Ancient Songs. The music of them, with some others, is published in Mr. Stafford Smith's "Music Antiqua." 2. Deu vous garde, bewe syre. 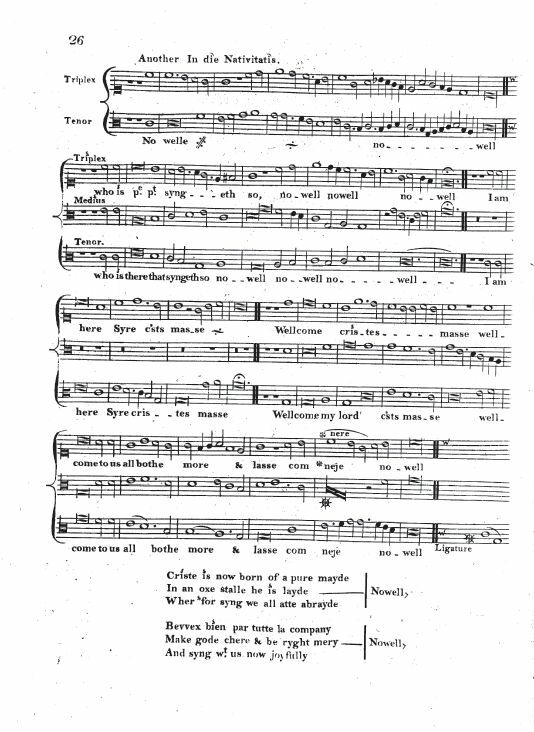 This very old carol is one of a number of carols, mummers' plays, or texts featuring a personification of Christmas, and, in this one, we have a ceremony welcoming “Sir Christmas” into the season. 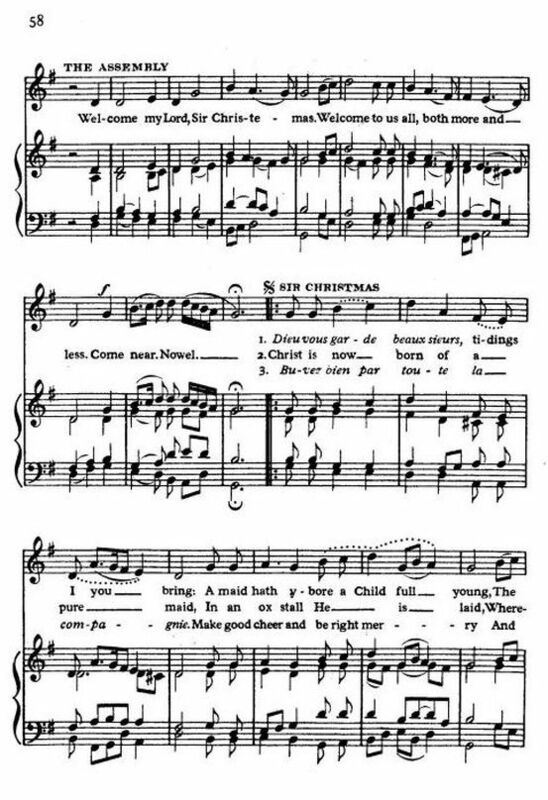 For the notes on this carol, please see Sir Christmas.